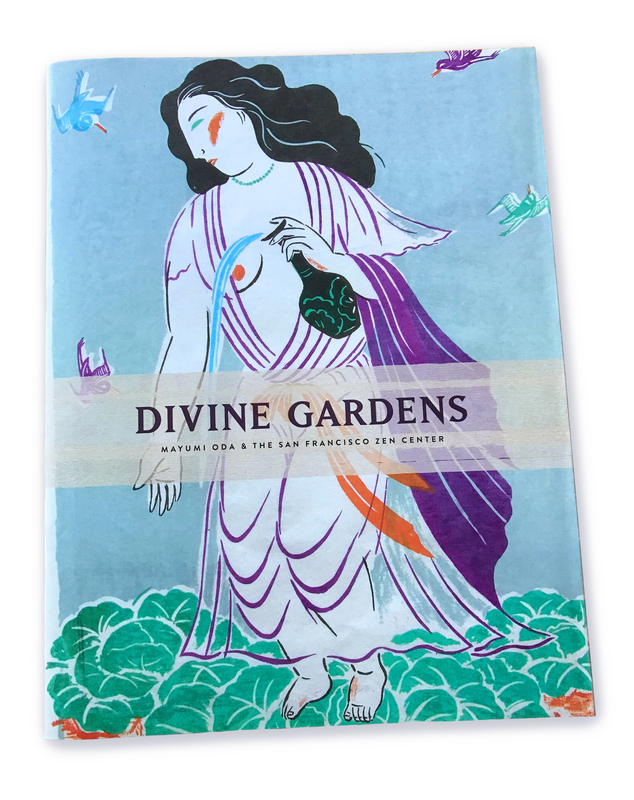 Divine Gardens is a collection of essays and artwork celebrating the life and work of artist Mayumi Oda and her relationship with Buddhist practice in the Bay Area. Mayumi’s work has spanned 40 years, and during that time the artist has been active with all three locations of the Zen Center as well as Greens Restaurant. 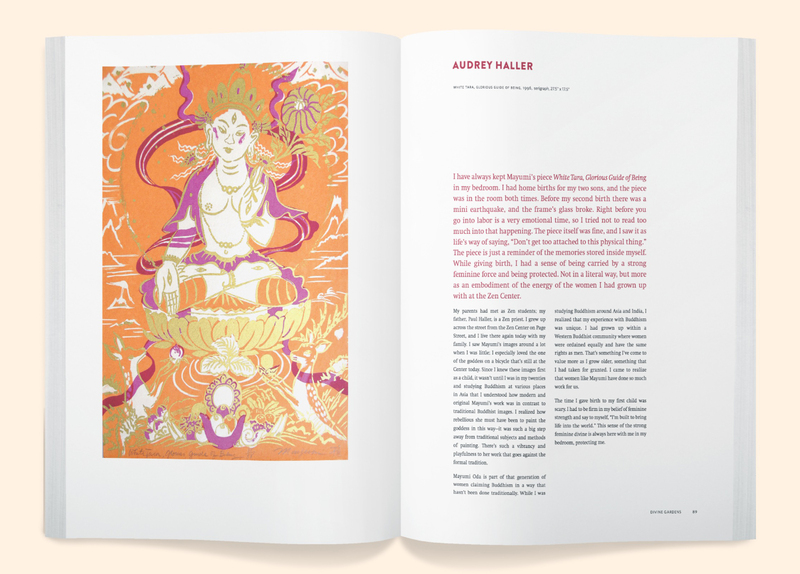 We have invited Zen practitioners who collect Mayumi’s work to share their stories about the pieces they own and where Mayumi’s work lives in their home, and to share recollections of their time spent with the artist in friendship and practice. 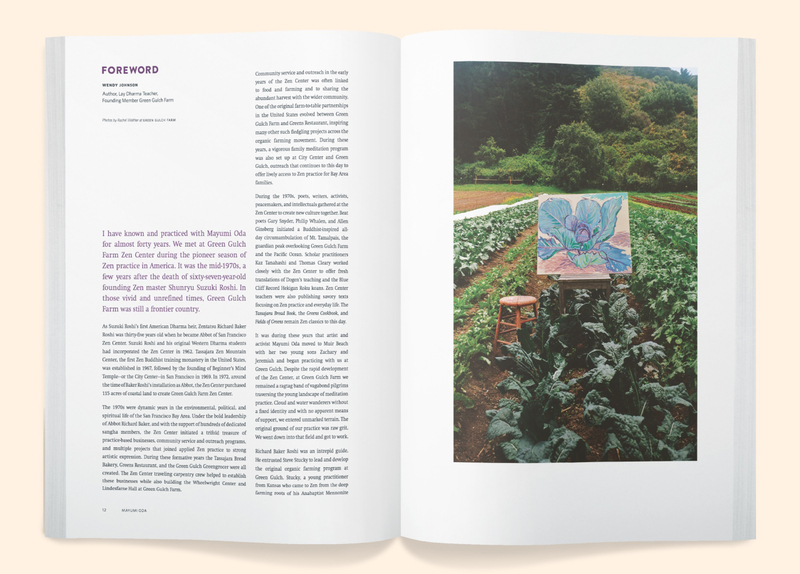 Over 25 writers, artists, and scholars have contributed pieces including Linda Ruth Cutts, Dana Velden, Edward Brown, Wendy Johnson, and Richard Baker.